You are at Blog Hop #8 on the Let's Scrap Blog Hop!! 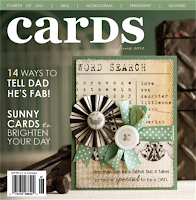 National Scrapbooking Day was last weekend, right? Well not at Let's Scrap. 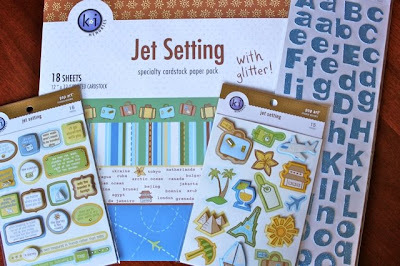 We are celebrating our scrapbooking ALL MONTH LONG. 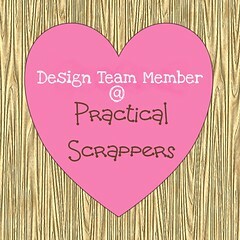 We started with some great games and challenges during NSD weekend, and now we are back with the Let's Scrap Design Team Blog Hop. 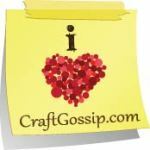 Below you will find a list of those DT's who are joining us in the blog hop. Each stop on the hop will offer you a different challenge. Become a follower of each Design Team Member's blog and as you complete each challenge, upload your finished project to Let's Scrap. Return to each blog and make sure to leave a comment letting us know that you have completed the challenge and uploaded it to Let's Scrap. Make sure you tag your project with the appropriate tag (you will find those instructions on each of our blogs-ie: bloghop1, bloghop2, etc.). Each Design Team member will randomly select a winner of a small prize for participating. For the ULTIMATE challenge, and for a chance to win a $50 gift certificate to A Cherry On Top, complete the challenges you will find on EACH stop on the blog hop. Make sure to tag your uploads properly so you are sure to be entered into the random drawing. Scrapping Nomad's Blog Hop challenge is (surprise!) about nomads. 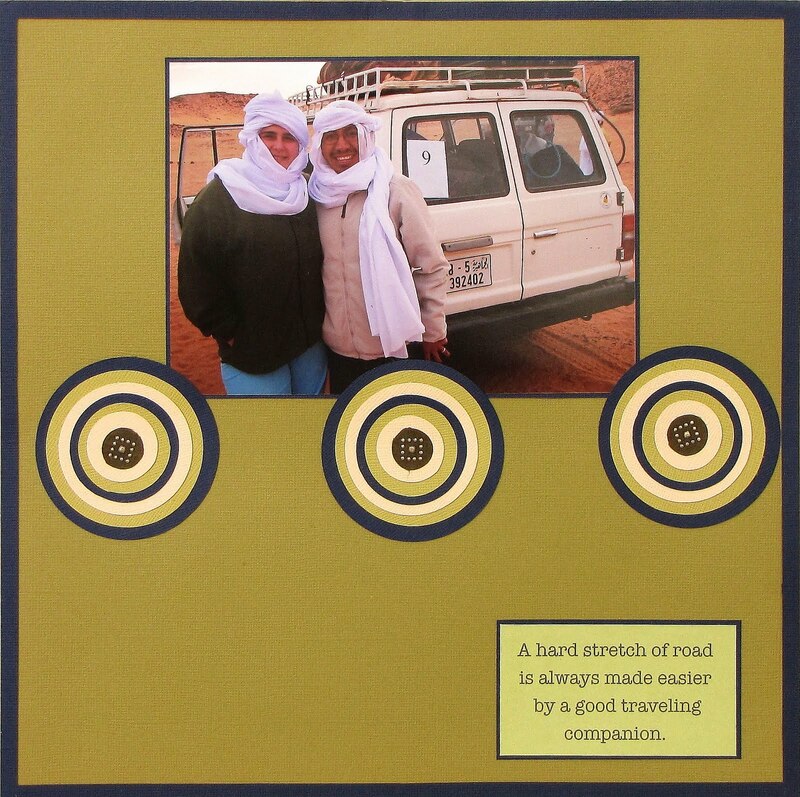 I have selected a list of quotes about travelling, moving and changing, constant elements in a nomad's life. Your Blog Hop challenge # 8 is to use one of these quotes (or part of it -as a quote, journalling, title, whatever works best for you) in a layout based on one of Let's Scrap sketches. 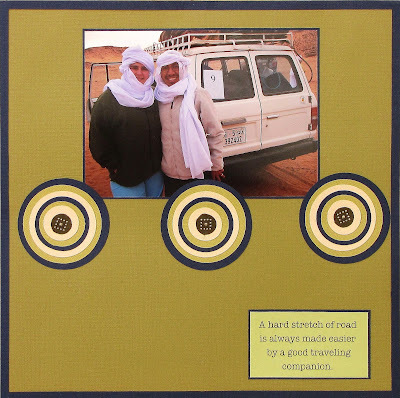 I have many travel layouts with quotes, maybe because I feel so many of them describe our nomadic life! This is an old one which I still like a lot (it is probably scraplifted, as it is one of my first layouts and I got lots of ideas from magazines then, but I really don't remember where I got it from). Once you've finished your layout: 1) upload it to Let's Scrap, tagging it both bloghop8 and the sketch number; and 2) become a follower of Scrapping Nomad and leave a comment here with a link to your layout. Scrapping Nomad's prize, to be drawn among those followers who leave a comment, is this fantastic KI Memories Travel Kit (if you don't win but LOVE this kit, like me, check Crafty Steals, it will be one of their steals soon!). You can start anywhere along the way within this great group of blogs and each one will link from one site to the next where you will find all the great challenges! And the best part is you have two complete weeks to upload your challenge entries. Even if you don't win the grand prize, if you choose to complete all the challenges available, you will have 10 completed projects! Let's get this hop started!! Remember, to become a follower and return to leave a comment after completing each challenge. Good luck, and have fun!!!! Your next stop is Nana. 8. Carolina - You are here! Love your challenge Carolina! And your giveaway too. What a cool photo of you and so loving the simplicity of your layout. Added it to my list so I can begin scrapping. what a fun blog you have here....I became a follower and am very excited about finding inspiration here...we too love to travel....I love you challenge!! I went to the quote right away and started letting my creative juice flow...we will see where it leads me...I am looking forward to working with you over the next several months. It's a pleasure for me became a follower of you blog!!! Thanks! Will be waiting for your LO! Love your blog which I am now following. Great challenge and love your layout! I absolutely LOVE that quote, how true!!! I love the blog design, too. It's from shabbyblogs.com. Thanks Google for translating for me! Love your challenge! I've become your follower and have your challenge on my to do list! Great, Wendy! You're the first one!!! I loved your layout,you had the perfect pictures for the quote! Thanks for playing along (and for linking to your layout here, it makes things much easier for me!). I became a follower and finished my LO, used the most recent sketch, they've been so versatile. Loved your quotes! One worked great for my photo! I'll be hopping along! I love the look of your blog! Traveling is one of my passions so it was easy to do a page - I also have lots of learnings from other kinds of journeys. I have posted my page on lets scrap of your challenge - sketch is ls119. I don;t know how to do the link thing, but will try..
well, I seem to be clueless about the link...sorry. I posted my LO in the gallery.. thanks carolina... for the quotes too!!!! 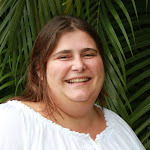 I got my page finished this morning and it is loaded on the Let's Scrap site...I am now following your blog as well and I am very excited about the chance to work together during this DT run. Thanks, Deb. I love being part of this DT! http://letsscrap.ning.com/photo/blog-hop-8-a-hard-stretch-of?context=user Sorry if it has sunlight on it, but sun is streaming into my house where I take my pictures. I am on my way to upload my challenge layout!!! Great challenge!!! I am hopping along and have just uploaded my page into my album. 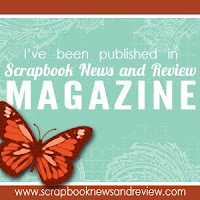 Will be posting it on my blog also at http://pammejo-scrapbookflair.blogspot.com/ come on over and take a peek. I finished your challenge! I used LS120 and a quote to make a Disney World Planning Folder. I finished my layout for your blog hop challenge and just uploaded to Let's Scrap. It didn't turn out the way I planned but I think the quote works with the pictures. Thanks for such a great challenge. Great quotes. I combined your challenge with challenge and 10 and uploaded it into the Let's Scrap photo Gallery. I am a new follower. This was fun to use the traveling quotes and it worked nicely since my son had just gone on his field trip. Hope you like it! Hi, Carolina! Loved your challenge, and using the quote is something I love yet don't do very often. Thanks for the push! I am a follower of yours, and I uploaded my laoyout into the Let's Scrap gallery today! Awesome layout! Very cool pic. I loaded mine into the gallery! Thanks for a great challenge! I'm a follower here, and my LO is over on Let's Scrap. Thanks for the fun challenge! !